50K Price Reduction! Ideally located Fremont home straddles 3 of Seattle's most desirable neighborhoods & directs to some of its most coveted schools. 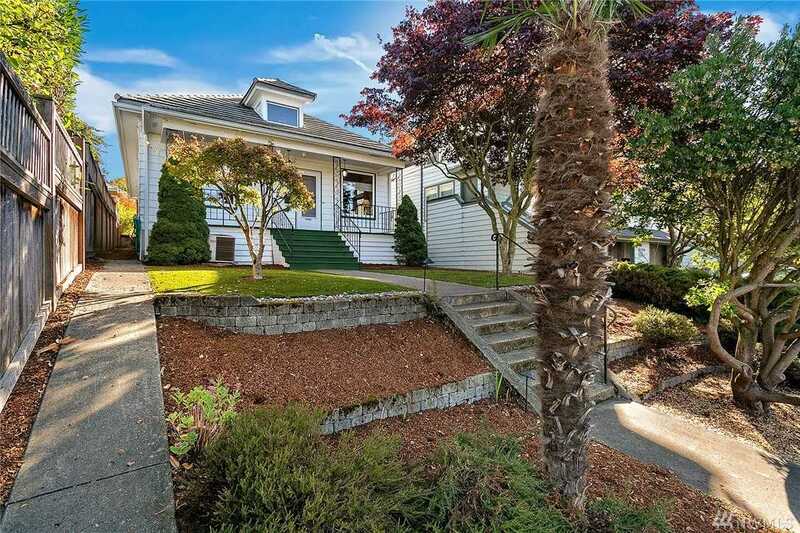 Nicely updated, quiet street-lots of parking, rocking chair front porch, soaring 9' ceilings, remodeled kitchen w/granite, st. steel, maple cabinets & large pantry. Updated windows, electric, plumbing, siding, metal roof, AC, gas heat & tankless hot water. 2 BRs & full BA on main, upper master with 3/4 BA & walk-in closet. Huge private back deck. Directions:From Leary Way NW, go east on NW Bright St, home at end of street at intersection of 5th Ave NW. From 3rd Ave NW, go west on NW 44th St, left on 5th Ave NW, 4th home on left side. SchoolsClick map icons below to view information for schools near 4332 5th Ave NW Seattle, WA 98107.